A co-constituted combination of software and training. These two elements work together to support a neighbourhood-level community calendar. It's aimed directly at neighbourhood groups and the institutions who want to work better with them. The PlaceCal platform and program is made up of a number of different elements, which we'll go into now. 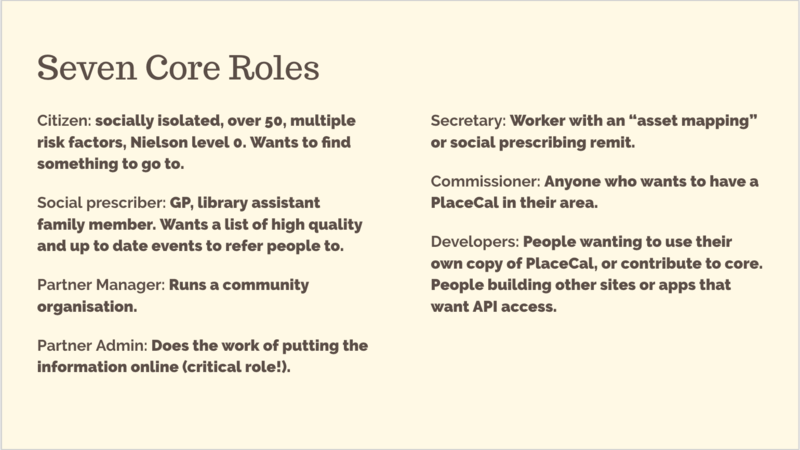 The PlaceCal software is the technical stack and infrastructure of our core program. 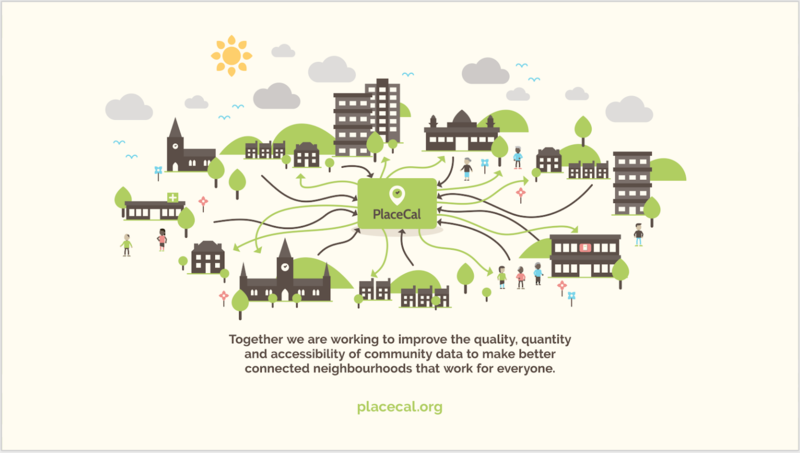 PlaceCal imports and connects information from neighbourhood institutions and organisations who have signed up to be part of our program. 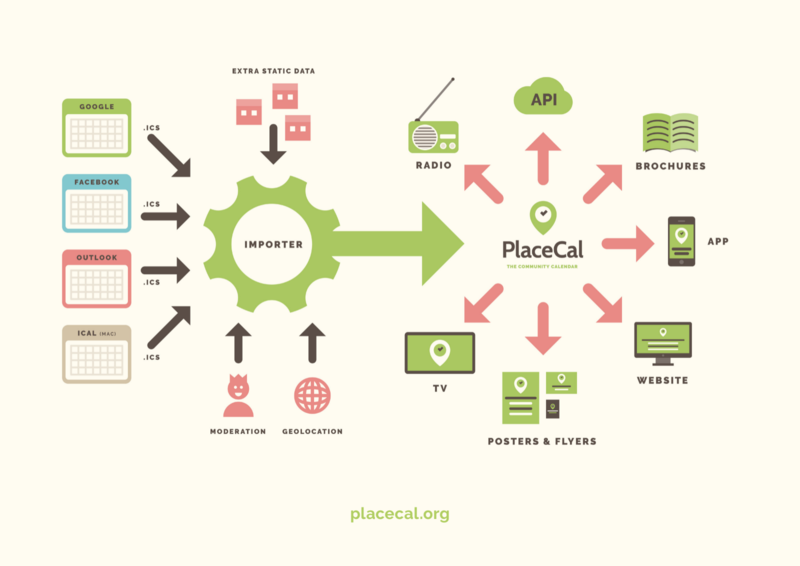 As long as partners input their data regularly, PlaceCal will import, aggregate and publish on to the PlaceCal.org website automatically. PlaceCal brings together existing calendar tools and IT infrastructure – which are tools that organisations are already using to organise themselves. This process drastically reduces the current manual workload of keeping event information updated and reliable, as well as synced across multiple partners. What does PlaceCal look like? Find out more in the PlaceCal glossary. PlaceCal delivers more than 220 events per week – and that's just in Moss Side! It currently has more than 17 partners publishing events, with more in the process of being trained. To ensure people are getting the most out of the software and have the right skills, we have also developed a custom PlaceCal training program based on extensive field research. The PlaceCal training program is an in-depth education package delivered as a standard part of our service. 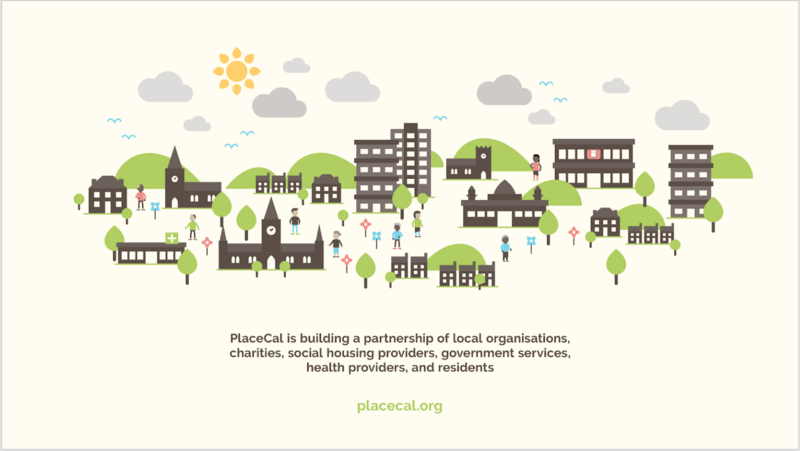 Our targets are the community groups, regional providers, and community organisations involved in PlaceCal. These groups are already invested in gathering information about local services and events in their area, but currently struggling to manage this process efficiently. They lack a coherent way of creating, storing and sharing their information collaboratively. Our training tackles this problem by giving key workers the tools they need to collaborate, which capitalises on existing resources. These local workers and residents take on key roles, some of them acting as a ‘secretary’. Secretaries are the active curators who ensure that the community is in charge of its local information. They ensure that the information produced is trustworthy, which can then be recommended back to local health and community organisations. Find out more about who uses PlaceCal.